The United States has a long and complex history with regards to nuclear energy, stretching back to the first harnessing of nuclear power during the Manhattan Project through the panic in the wake of the Three Mile Island accident and to today where technological advancements are making nuclear power safer and more efficient than ever before. Despite these advancements, decreasing natural gas prices, a boom in solar and wind power, and a persistent inherent fear of nuclear power in some circles has brought construction of new nuclear plants to a virtual standstill. Only one new reactor, Watts Bar #2, has come online since 1996, one construction project in South Carolina was abandoned partway through construction, and the only active nuclear construction project, Plant Vogtle in Georgia, has been mired in controversy and uncertainty amid escalating costs. 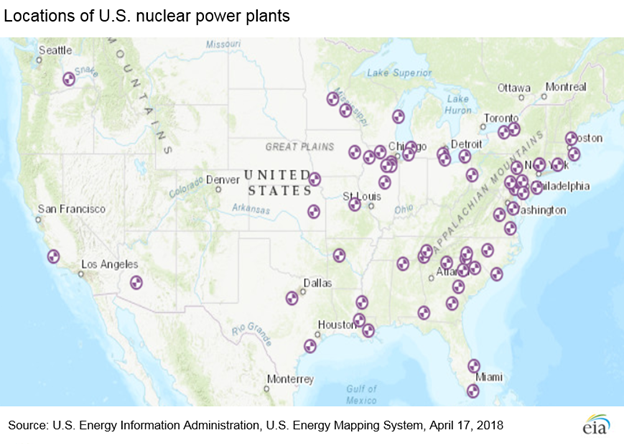 Compounding that issue in the nuclear industry is the expected closure of many of the aging nuclear reactors across the country, with almost 12% of U.S. nuclear capacity expected to close in the next seven years. 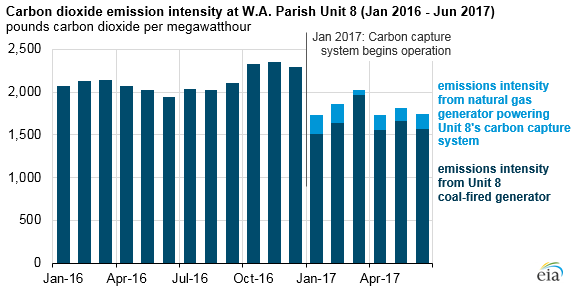 While the U.S. electrical grid continues to be dominated by fossil fuels, the push to decarbonize the nation’s energy mix remains strong. As climate change concerns become a driving factor in energy policy, many are promoting the increased use of carbon-neutral fuel sources (including both nuclear power and renewable energy) to minimize the environmental impact of the energy sector. 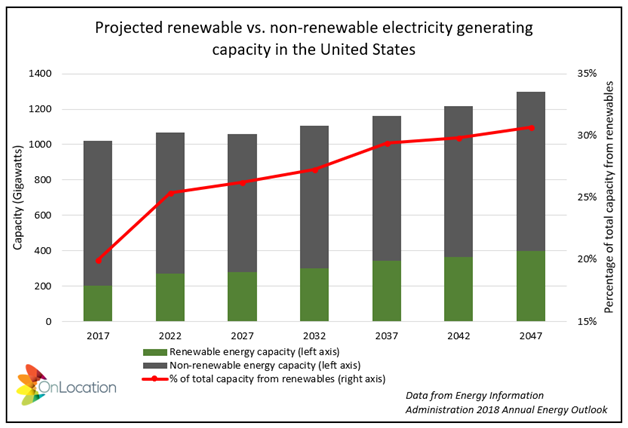 Any decarbonization trend that relies heavily on non-dispatchable renewable energy sources (such as wind and solar) in lieu of dispatchable fossil fuel sources (such as coal and natural gas), comes with side effects—both good and bad—to the nation’s electrical system beyond the intended reduction of CO2 emissions. In the fight to minimize human-caused carbon dioxide (CO2) emissions associated with climate change, one of the latest and most exciting technologies is carbon capture and storage (CCS). The idea behind this method is that the CO2 emitted during certain activities, such as fracking for oil and gas, burning coal and natural gas for electricity, and many industrial activities such as ethanol production, can be captured instead of being released into the atmosphere. Once captured, the CO2 can be compressed into a denser gas or liquid and then transported by pipeline and used for enhanced oil recovery or permanently stored underground in saline aquifers, coal beds, salt caverns, or other geological formations. 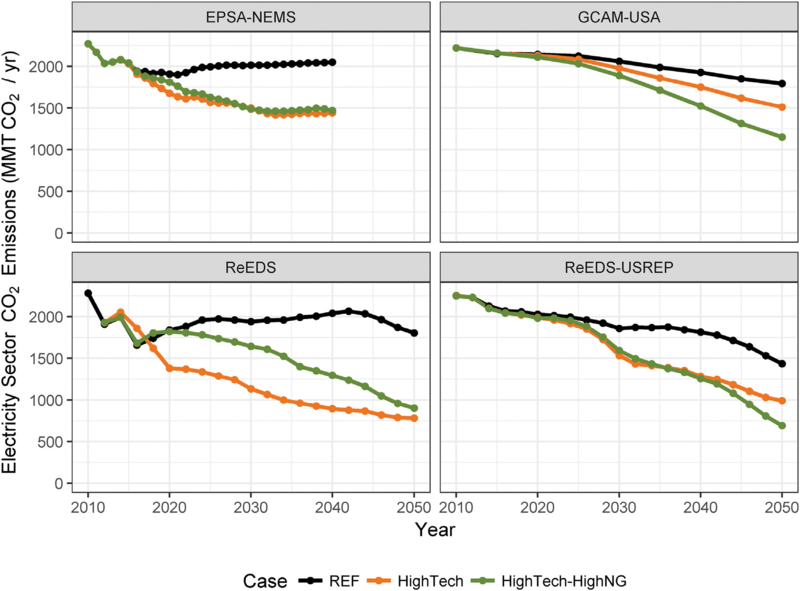 While the technology for capturing, condensing, transporting, and ultimately injecting CO2 has advanced notably in recent years to make the technology theoretically viable on a large scale, the actual implementation of the practice has lagged behind largely due to the regulatory hurdles associated with the transport and storage of the CO2.